ADIZERO ADIOS 4 SHOES ULTRA-LIGHTWEIGHT RUNNING SHOES FOR LONG-DISTANCE RACING AND TRAINING. M..
RUNNER TYPE Neutral shoes for the long-distance runner ENERGISE.. SOLAR GLIDE SHOES A go-to pair for all your runs, these shoes have energised cushioning that work..
RUNNER TYPE Neutral shoes for the long distance runner ENERGY R..
SOLARBOOST SHOES A GO-TO SHOE DESIGNED FOR LONG DISTANCES. These natural running shoes are des..
TERREX AGRAVIC XT GTX SHOES SHOES FOR LONG RUNS ON WET, ROUGH TRAILS. 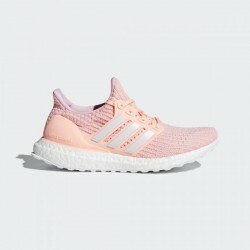 Stay dry and energized w..
ULTRABOOST SHOES NEUTRAL RUNNING SHOES WITH PREMIUM CUSHIONING AND A SOCK-LIKE FIT. Combining ..
ULTRABOOST SHOES RESPONSIVE SHOES MADE FOR LONG RUNS ON CITY STREETS. Get that best-ever feeli..